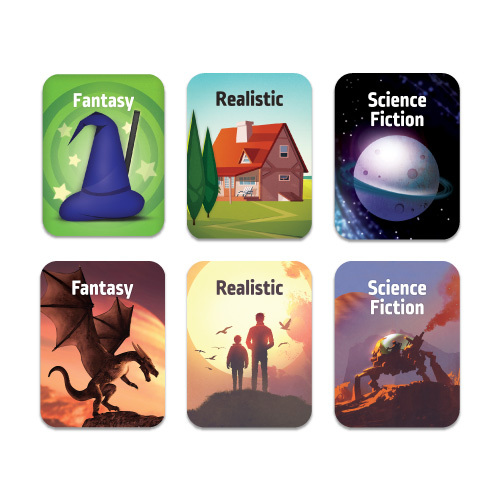 Are You Thinking About Rearranging Your Library Fiction Collection By Genre? This has become a popular means of bringing new life and attention back into your library and helping to empower your students to find the books that interest them the most. Mackin has been at the forefront of this movement, and since 2011, we have helped hundreds of new and existing schools make the switch to genres. We’ve Made Converting Your Library to Genres Affordable and Easy! 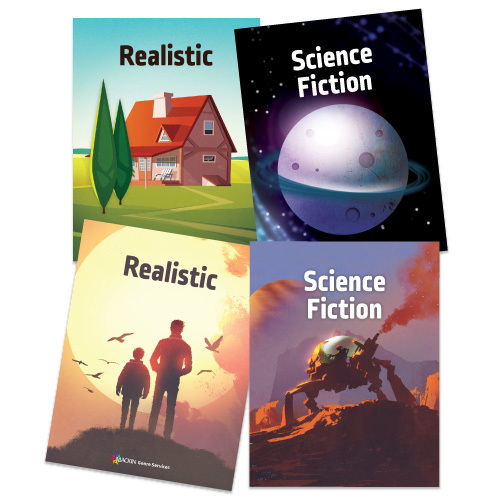 When you order your books from Mackin, you can receive them fully processed and cataloged with fiction genres. You can have your spine label wording changed, add a Demco label, choose a Mackin-designed label, or even a colored label protector or colored dot. 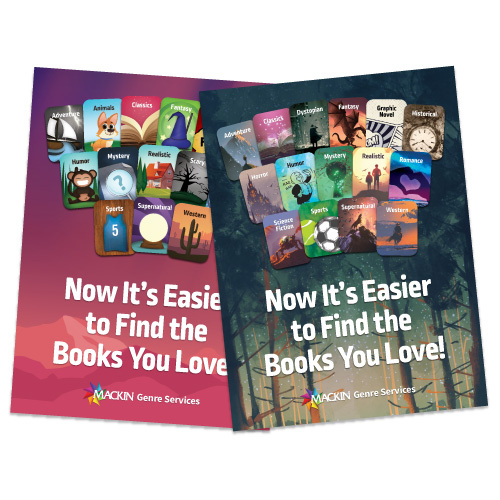 We’ve identified the most commonly used genres after years of working with schools, and we have made it simple for you by assigning the most dominant genre to over 20,000 fiction books and the number grows daily. You are always welcome to assign your own genre, but you can choose to let Mackin do the work and feel confident that our designations have been carefully considered. Contact our Genre Specialists to help with your genre specifications, and we’ll start processing your books as desired. Are you trying to figure out how to get started with your existing collection? It can seem like an enormous task, but Mackin can make this easier too. Our Genre Matching Service takes your MARC records, matches up your titles to our database of genrefied titles, and provides you with a spreadsheet showing our designation for that title. You won’t have to spend time looking up titles one by one, and you’ll have a spreadsheet you can sort by any means you wish to start your relabeling project. Are you trying to figure out how to get started or what to do next? Our genre experts have seen it all and can help you with the best methodology for making the process as painless as possible. We’ll give you detailed instructions, if needed, for how to change your records, and we’ll make sure you know how to avoid problems down the road. 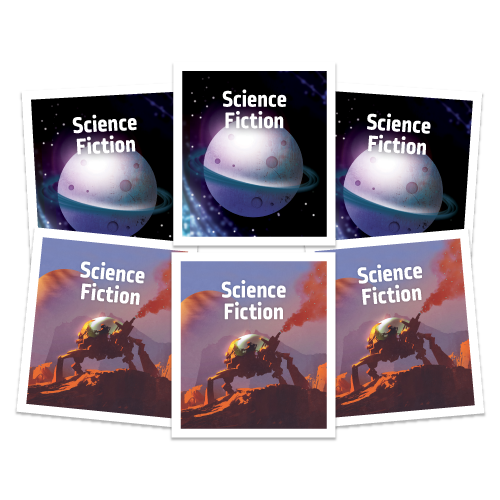 Mackin also features our own professionally designed labels to accompany our standard genre categories. Our genre labels are durable, 4 mil flexible vinyl and come 64 labels per sheet. You can purchase them in small or large quantities, and you can even purchase by individual genre so that you only have to buy the labels you will actually use. View our complete label selection in our genre label order form. Mackin genre labels can be purchased individually. Shelf Talkers, End Cap Signs and Poster are provided as complimentary downloads. Contact our professionals at genre@mackin.com or call us at 800.245.9540 for pricing. Make the move to genres today! Give us a call to get started today at 800.245.9540.